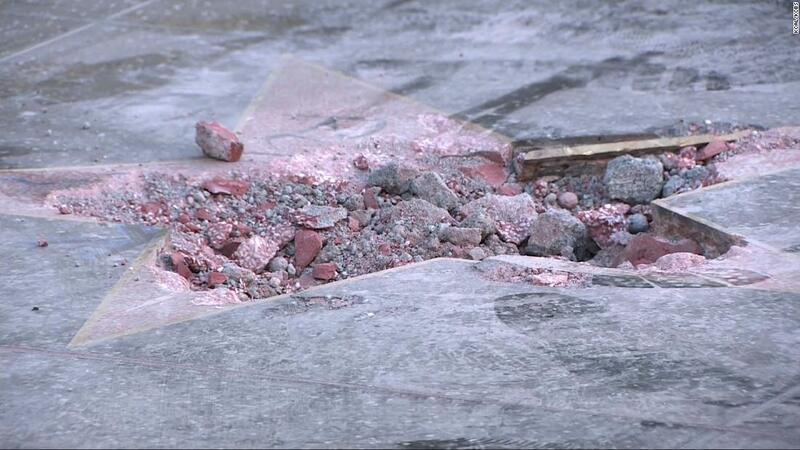 Los Angeles (CNN) President Donald Trump’s star on the Hollywood Walk of Fame was destroyed by a man with a pickax early Wednesday, according to Los Angeles police Officer Ray Brown. 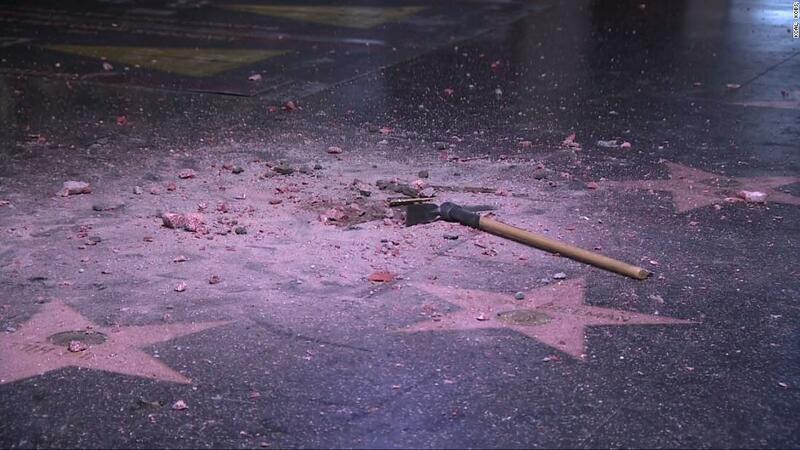 Trump’s star has repeatedly been the target of vandalism and protests since the reality TV star’s turn to politics. In April 2016, a Superman impersonator on Hollywood Boulevard said he had seen visitors make obscene gestures next to the star, deface it with paint and allow a dog to relieve itself on the landmark. “People often stomp with anger on the star, others kick their heels over the star, and some spit. The last time, someone put a sticker over the star,” Francisco Javier, another street performer who was dressed like Superman, said at the time. A street artist constructed a tiny wall around Trump’s star in July 2016, and that October Los Angeles police arrested a man who they said vandalized the star with a sledgehammer and a pickax.